The Frumious Consortium – "Begin at the beginning, go on to the end, and then stop." The Underground Railroad is a hell of a book. Like Underground Airlines by Ben H. Winters, Whitehead’s book was published in 2016 and takes a slightly science fictional look at slavery in the United States of America. Winters’ narrative brought slavery into the 21st century and imagined what the peculiar institution would be like in a world of smartphones and high-tech manufacturing. 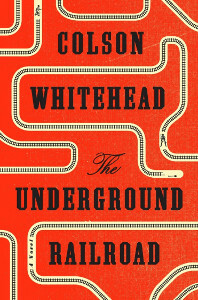 Whitehead leaves slavery in the 19th century, but imagines that the Underground Railroad was exactly that: a set of tunnels extending hundreds of miles through the earth into the wicked hearts of the slave states, capable of whisking runaways into completely new situations in new states. The one thing the stationmasters can’t do — besides survive, for some of them — is predict when the next freedom train is coming, or where it will go. Whitehead opens his story with Cora, a slave, turning down an offer to try to escape. In the second sentence, Whitehead turns to Cora’s grandmother, how she was captured by Dahomeyans and sold several times on the way to Ouidah, a major slaving port in what is now Benin. In a crisp six pages, Whitehead lays out Ajarry’s life, how many times she was sold, what happened to her owners, how her three husbands went away — one was sold to a sugarcane estate in Florida (where he was surely worked to death), one passed from cholera, and one had his ears bored for stealing honey, “The wounds gave up pus until he wasted away” (p. 7) — and how four of her five children died before they were fully grown. Ajarry drew some conclusions and stayed on the Randall plantation in Georgia cotton country until the end of her life. “It was her grandmother talking that Sunday evening when Caesar approached Cora about the underground railroad, and she said no. “Three weeks later said yes. Cora’s mother escaped. She told no one of her plans, least of all her pre-teen daughter. Unlike most runaways, who were caught and then brought back to the plantation to be tortured and then executed for the edification of the other slaves, forced to witness the spectacle, Cora’s mother Mabel is never caught. The Randall plantation never hears of her again. Mabel’s escape leaves Cora isolated among the other slaves; Whitehead does not hesitate to depict how enslaved people turned on one another for slight advantages, how the brutal regime of the masters was replicated further down the hierarchy. Nor is he shy about how some people found joy in some things anyway, about how they did their best to live and love under a system designed to break them completely. Cora grows up angry at her mother for abandoning her; at the same time, though, Mabel’s escape demonstrates that freedom is a possibility. When Cora changes her mind and accepts Caesar’s offer, they begin to plan their getaway. And none too soon. Not only has Old Randall passed some years hence, the son who inherited the half of the plantation that Cora labors on, and who does not try to wring every last penny of profit from the system, has reaped the reward of a life of dissipation in New Orleans. The surviving brother has no patience for the alleged softness of his sibling’s stewardship and proceeds with tightening the screws. Cora and Caesar plan carefully, and make their escape one night when all the factors seem to align for a good getaway. But in the close-knit world of the slave cabins their preparations have not escaped everyone’s notice. Lovey, a friend of Cora’s, catches up with them in the middle of the fields and demands to be taken with them. She slows them down. The alarm had been raised earlier than they thought. Slavecatchers find the little group. Cora and Caesar get away, but Lovey does not. In the melee that leads to the pair’s escape, Cora kills a white boy. Now they will have a price on their heads, with death a certainty if they get caught. Still, it wouldn’t be much of an Underground Railroad book if the characters were caught and brought straight back to their plantation, and indeed they are not. Cora and Caesar are out of the frying pan and into various fires, for each of the states Cora makes her way to has chosen to deal with slavery in a different way. In South Carolina, they find what appears to be an enlightened approach. Whitehead is having some ironic fun with history. South Carolina has been memorably described by Charles Pierce as “the home office of American sedition,” it was the first state to attempt to secede, and the first shots of the Civil War were fired there. Its firebreathing politicians led their state and nation into the conflagration, so to find South Carolina as the home of a near-socialist, scientific attempt at solving slavery is a satisfying twist. In Whitehead’s book, human property in the state has been nationalized. 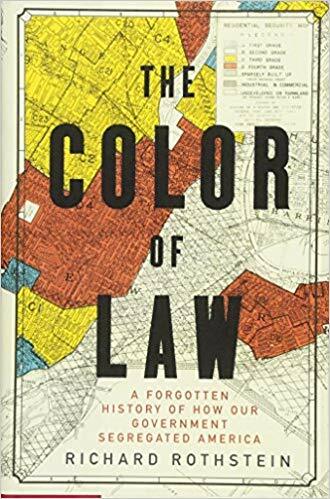 There are no more individual slaveowners; instead, the government has purchased all of them, provides housing and services, and arranges their labor. Public institutions also encourage enslaved women to be sterilized, and public health authorities are conducting syphilis experiments on enslaved men. Cora and Caesar decide to take the next Underground train to wherever, but before they can flee a slavecatcher who also pursued Cora’s mother catches up to them. Cora makes it to the Underground, but has to leave Caesar behind. Her travels take her to North Carolina — where slavery has been “solved” by executing any black person who was in the state after a certain date — and then to Tennessee — where the slavecatcher who has been tracking her relentlessly since she left the Randall plantation captures here for a while — and finally to Indiana — where Cora finds a nearly utopian community of runaways, free people of color, and a few whites who extend protection and humanity. Whitehead captures the feel of societies wrestling with a great evil that brings wealth and position to those in the dominant caste, societies taking what they have convinced themselves are more moral paths but failing utterly to see what matters most: that enslaved people are as human as those who are or would be masters. His spare prose is unsparing, and he’s also very good at showing how such a dehumanizing system hurts everyone involved. The Underground Railroad is no mere catalog of horrors, it’s a taut thriller of someone trying to escape not only the odds, but all of history. She has some allies, some hopes, and even to some extent the respect of her greatest adversaries. Will she make it to the end of the line? I finished this book in two compulsive sittings, and if I’m being perfectly honest, I think I would have liked it better if I hadn’t had to break concentration a little past the halfway mark to go do life stuff. Because The Weight Of Our Sky is the kind of book that grabs you by the throat and suffocates you in its anxiety-laden embrace, just as effectively as the djinn that plagues our heroine, Melati Ahmad (tho in the reader’s case, this is hopefully a voluntary experience.) Breaking that spell then coming back to it makes for a weird readjustment period, tho I can absolutely understand some readers needing that break. I’m a fairly neurotypical person and even so, the immersive depiction of OCD is extremely harrowing. This is a book that 100% deserves the trigger warning that Hanna Alkaf begins it with: if you’re in a bad place wrt mental health a/o racism, TWoOS is more likely to exacerbate your symptoms than alleviate. And that’s because it’s a shockingly honest, surprisingly liberal look at a real life event in Malaysian history. Melati is a 16 year-old Malay Muslim girl living in 1969 Kuala Lumpur. She loves Paul McCartney and music in general, and adores her single mom, who works as a nurse at Kuala Lumpur General Hospital. Melati is also hiding a secret from the world: she has an obsessive compulsive disorder that convinces her that her counting and tapping and rituals are the only thing saving her mother from a grisly death. Being the 1960s, treatment of OCD is iffy at best, and mental health awareness degradingly poor, so Melati learns to hide her symptoms even as she does regular battle with the djinn that she believes must be possessing her. Things are manageable… until the race riots break out and Melati is caught in a situation that would be overwhelmingly stressful even for people without mental health challenges. Ms Alkaf presents a view of the horrors of the time with an eye at once unflinching and compassionate. She has clearly done her research, and I honestly feel bad for her having to state as such in her foreword. I suspect that that came about from needing to preemptively defend herself from critics at home — I want to believe that the general trend of Malaysian thought is towards inclusion and acceptance rather than tribalism and control, but I no longer live there for a reason. 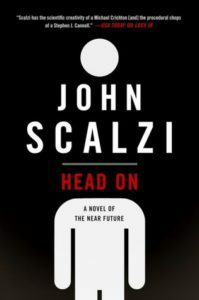 My only quibble with the novel itself is that the climactic scene outside the van where Edgar lay felt more rushed than it should have been, and that was less a product of the narrative than of Melati’s interior process. We’d been so privy to her thoughts up till then that for her to suddenly discard thinking was a somewhat jarring experience. And it’s probably too much to ask for suggestions for a way forward at the end of the novel — the content otherwise is quite clear that all citizens should respect each other as equal contributors to progress and stability — but it did feel as if Ms Alkaf was content only to apply her critical eye to the past instead of the present, one sardonic sentence in the foreword notwithstanding. Anyway, this is certainly one of the most important novels ever to come out of Malaysia and Ms Alkaf is a tremendous talent. I can’t wait to read more of her stuff. Having recently written a national history of Ukraine, Plokhy turns his attention to the history of the junior eastern Slavic nation, Russia. 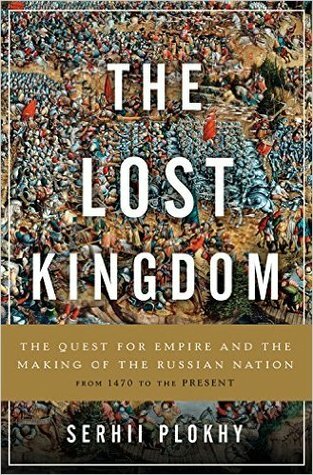 A fair portion of Lost Kingdom describes how and why my opening sentence would outrage Russian ideologues, rulers and historians. 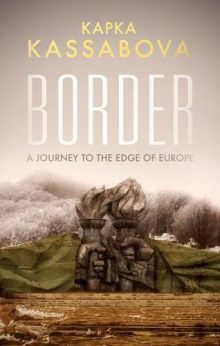 The titles of the book’s sections reveal important aspects of his argument: Inventing Russia, The Reunification of [Kyivan] Rus’, The Tripartite Nation, and so on. 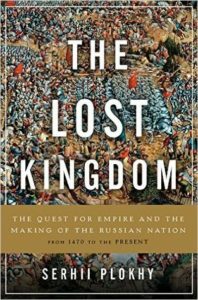 “The Russian elites’ for the Kyivan inheritance developed from a largely dynastic and religious concept into an ethnonational one with the start of the modern era.” (p. ix) Then that ethnonational understanding morphed into a semi-open imperial one that accepted “today’s Russians, Ukrainians and Belarusians along with imperial elites of non-Slavic origins that were Russified in political and cultural terms.” (p. ix) Then the Revolution came and tried to subsume the nations into a class structure, while simultaneously setting up polities that signified the nations’ importance. Contrarily, and also simultaneously, the USSR centralized power in Moscow to a far greater extent than the tsars had done and pursued Russification more stringently (and successfully) than the empire had managed. The only comparable situation in contemporary Europe would be if England is compelled to give up rule over Scotland. Even there, the English debt to the Scots is nothing like the Russian relationship with its Kyivan inheritance. The English did not justify centuries of conquest as the regathering of the Scots lands, as Russian rulers did with Rus’.